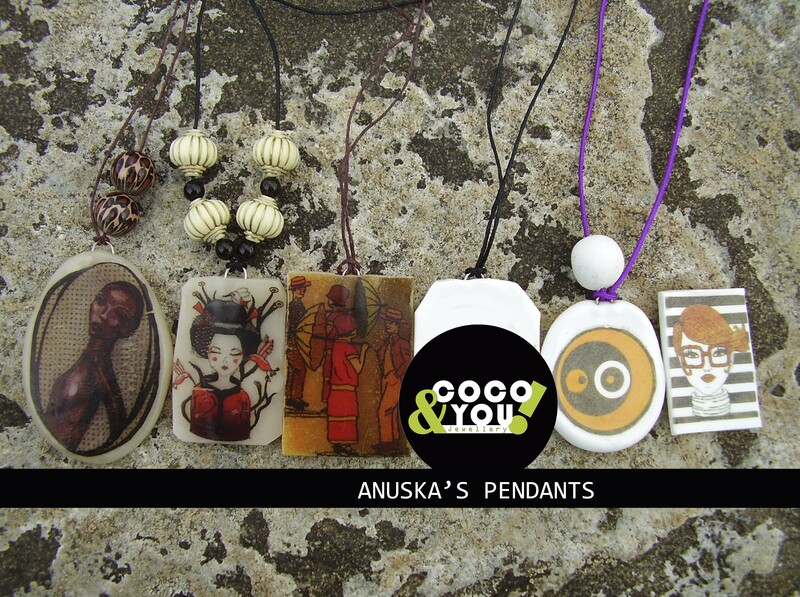 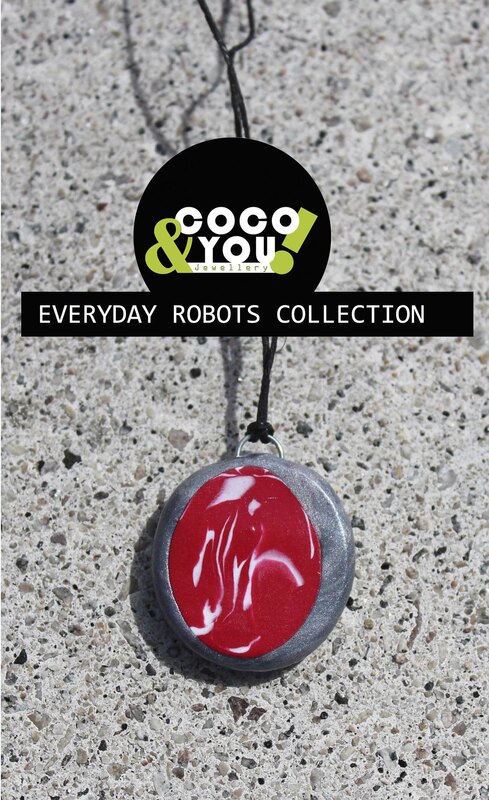 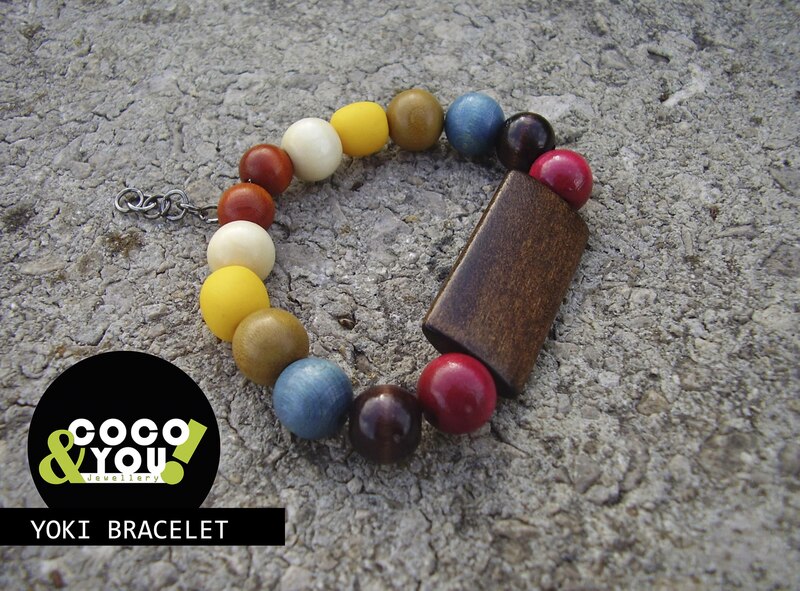 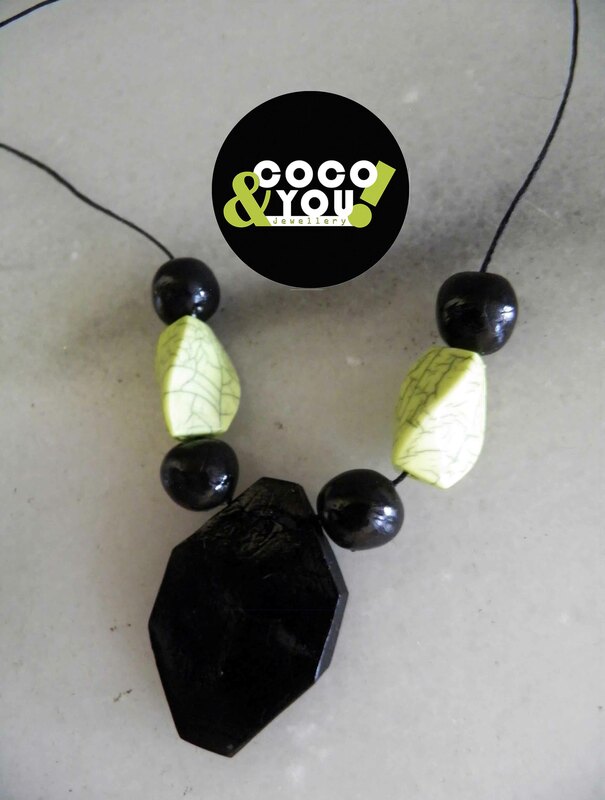 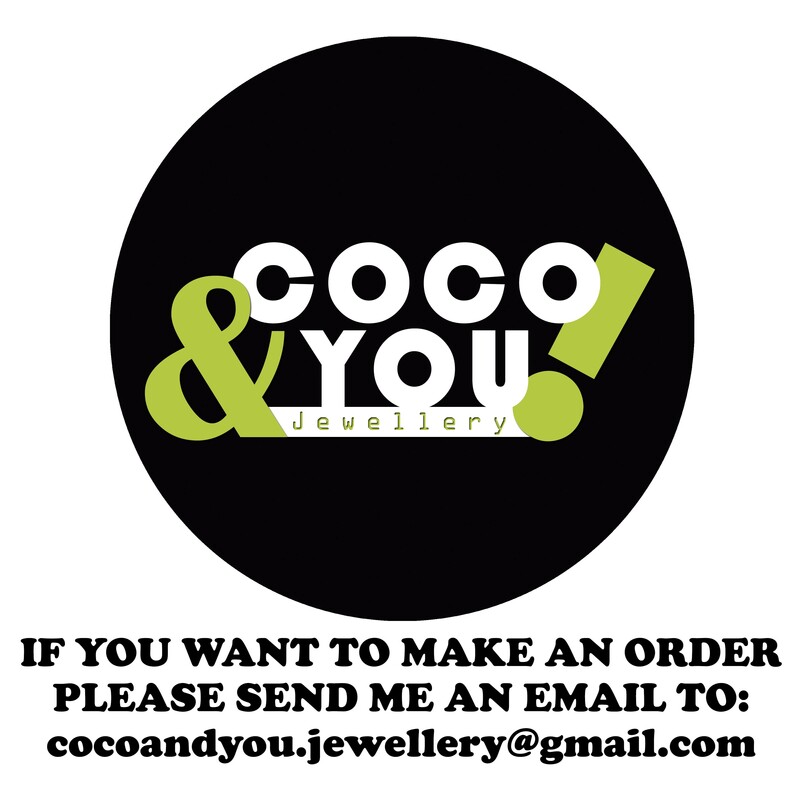 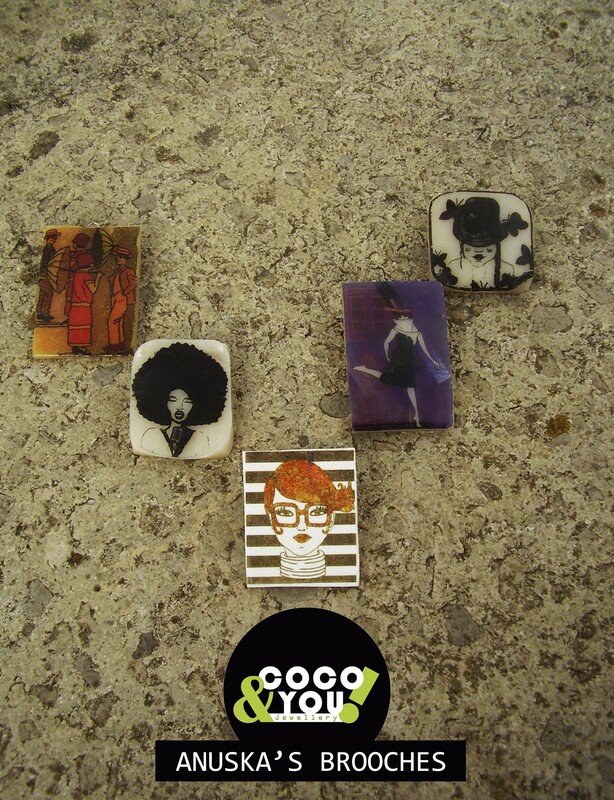 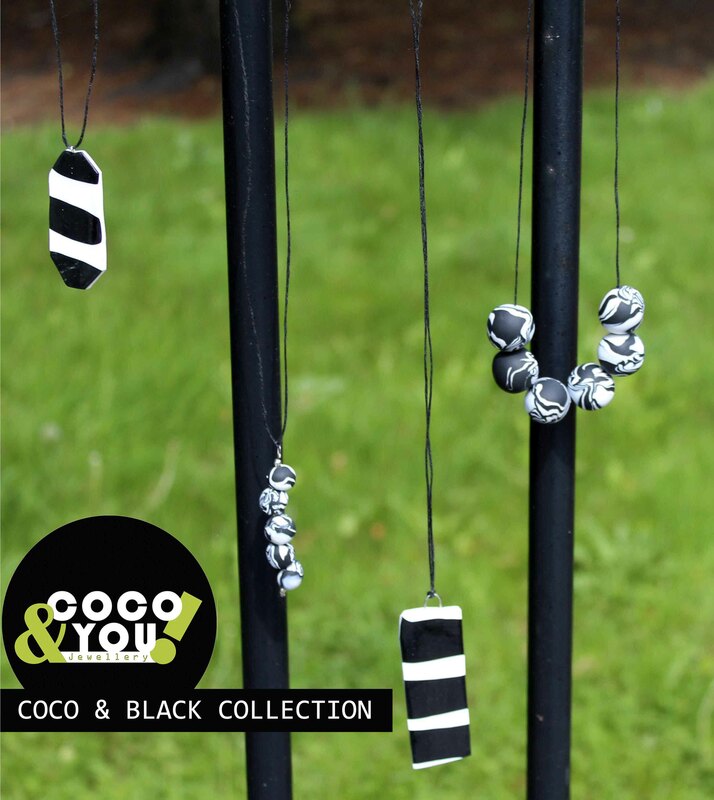 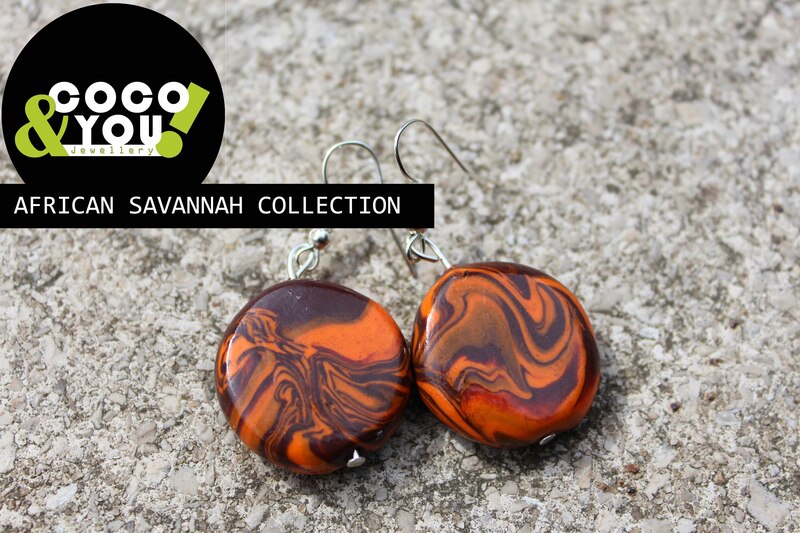 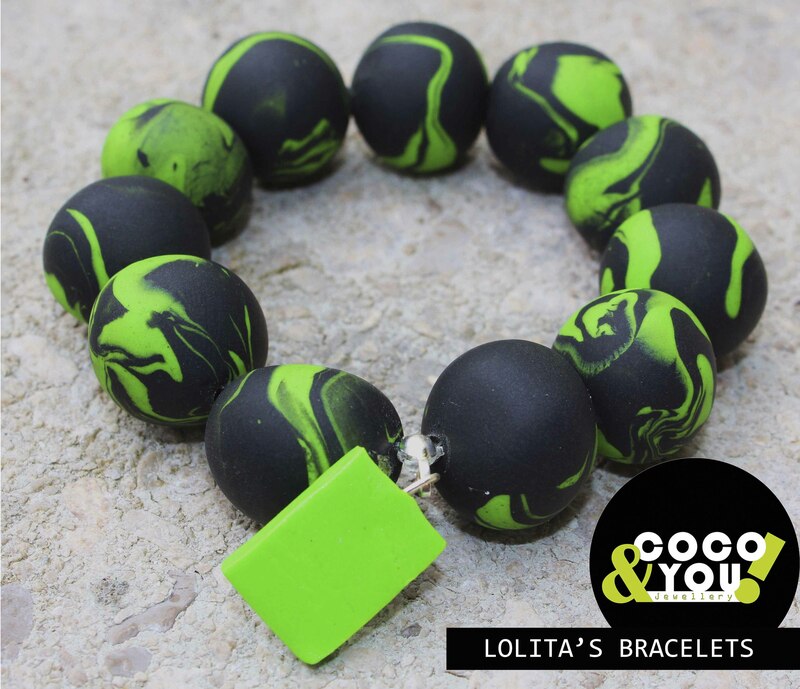 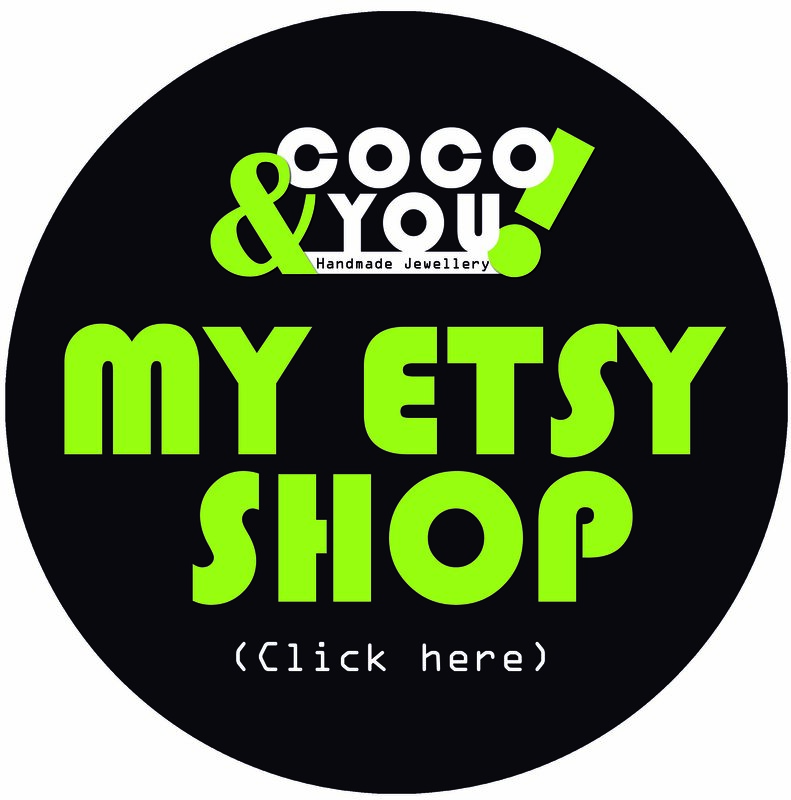 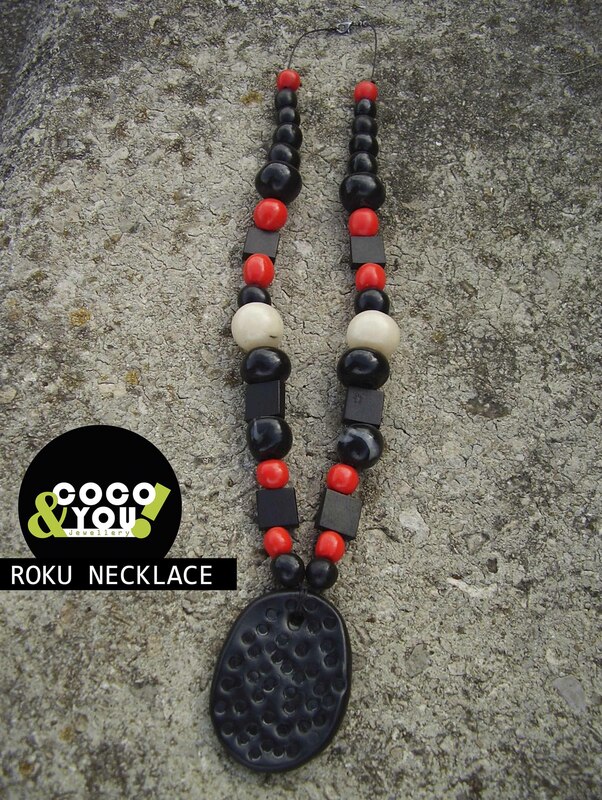 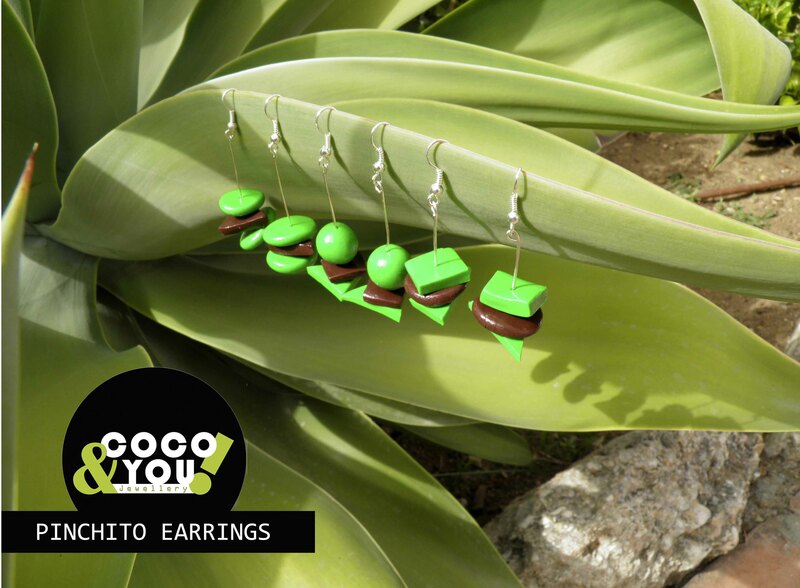 Miscellaneous | COCO & YOU! 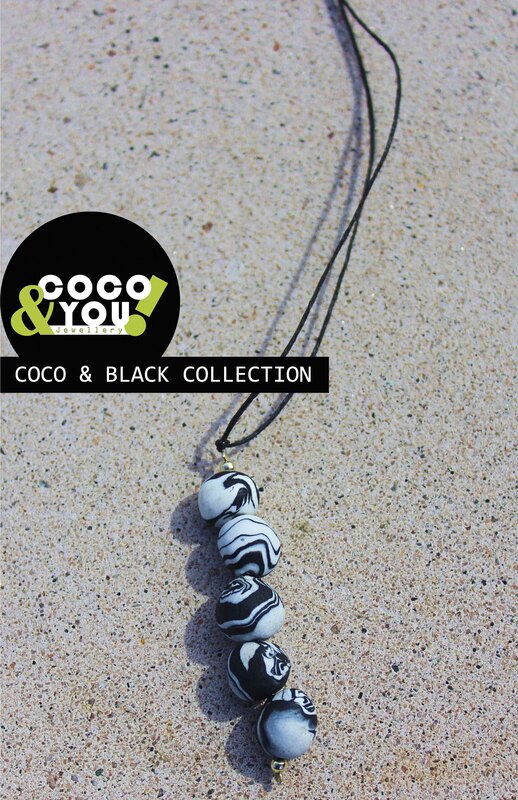 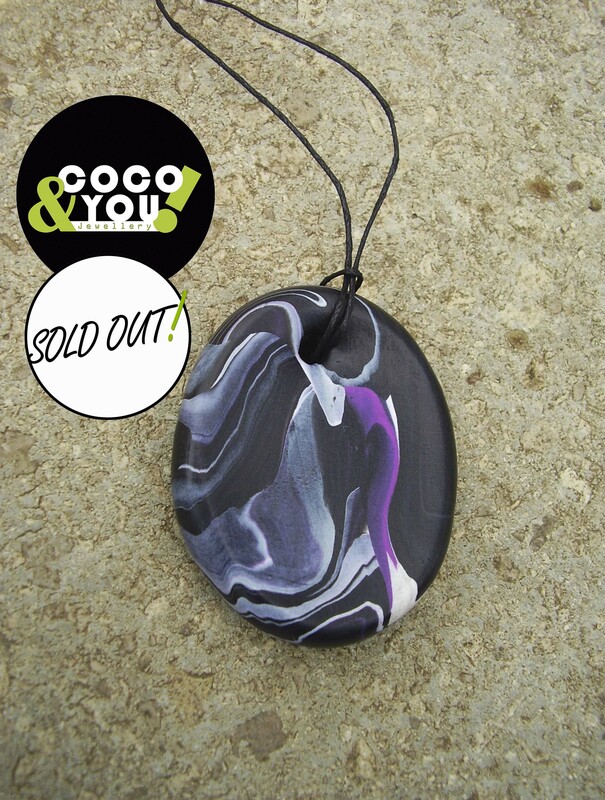 Black, white and purple pendant on a black cord with sliding knots to adjust the length. 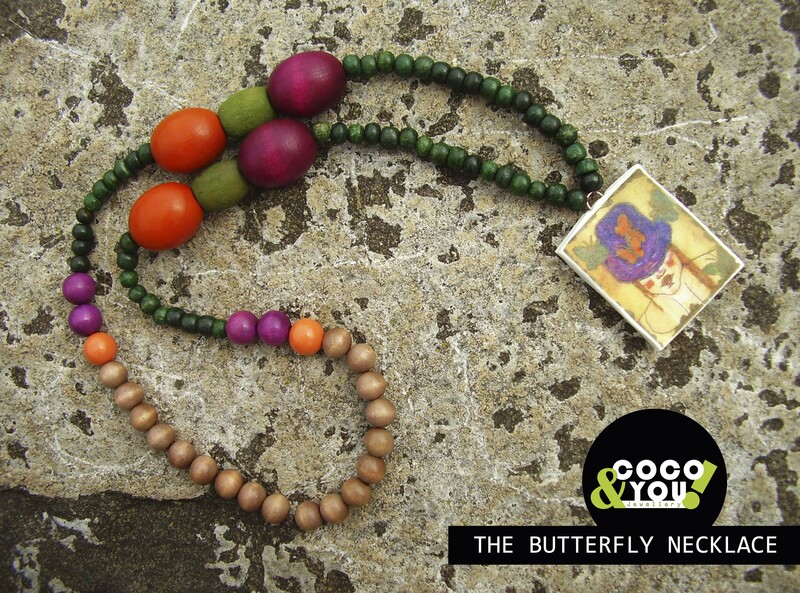 Made with clay and finished with matte varnish. 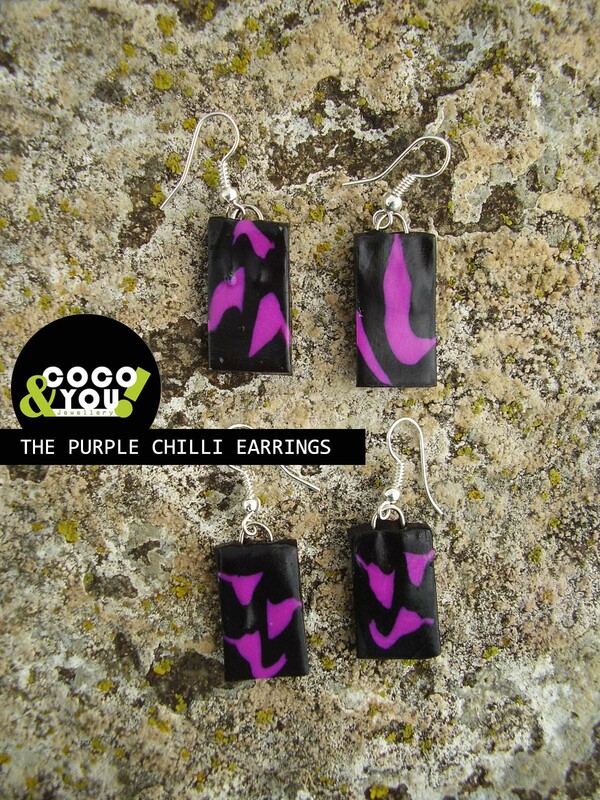 Square black and purple earrings. 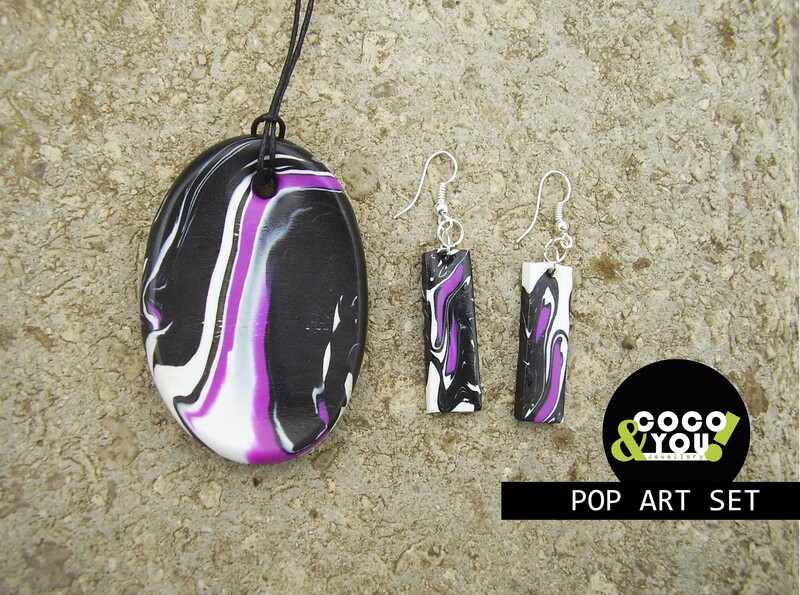 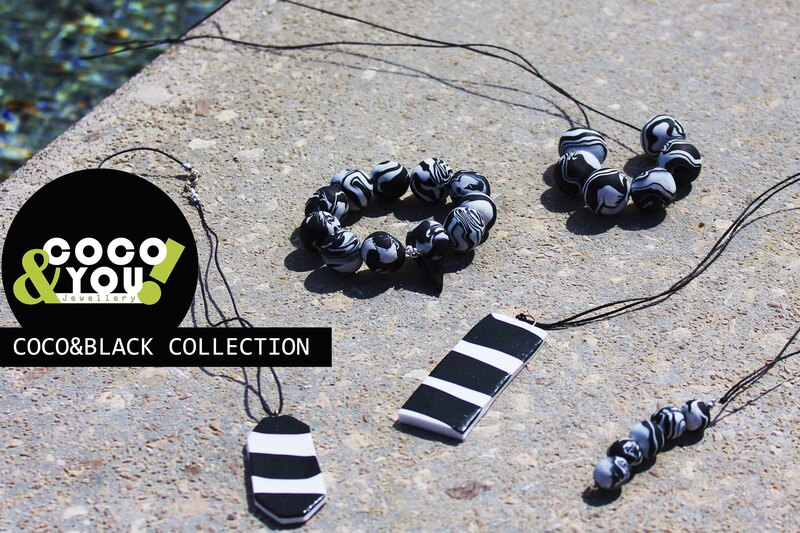 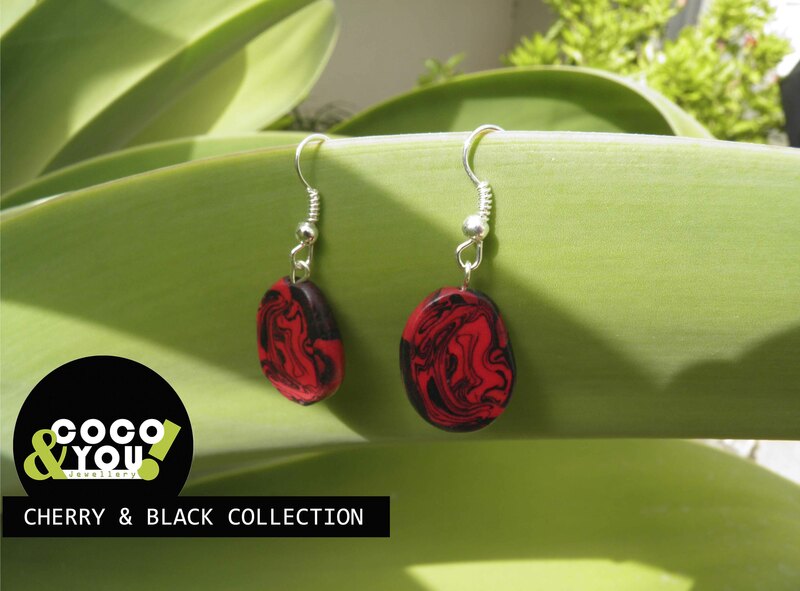 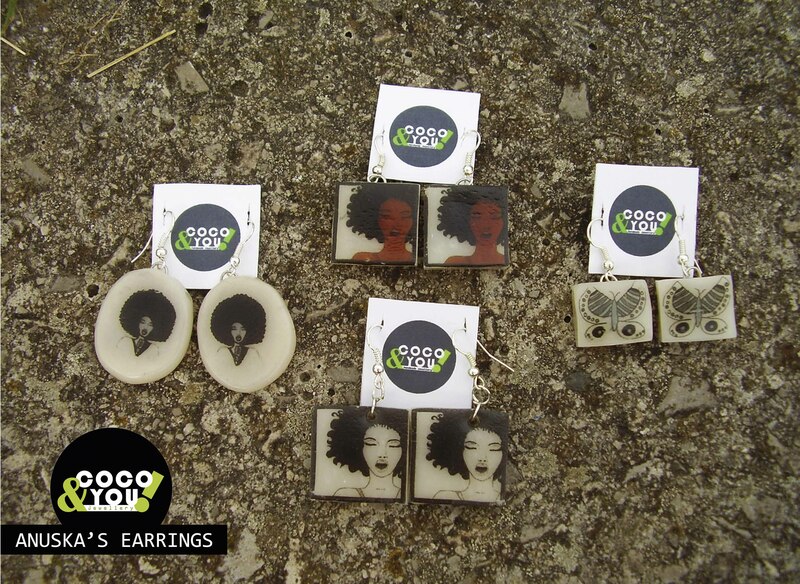 Black, white and pink pendant and earring set. 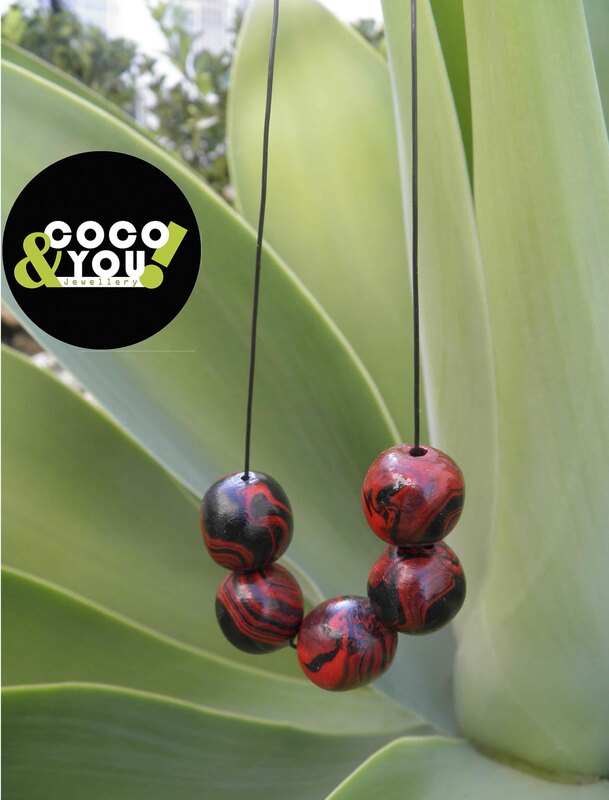 Black & Red ball necklace on black stretchy thread with silver clasp. 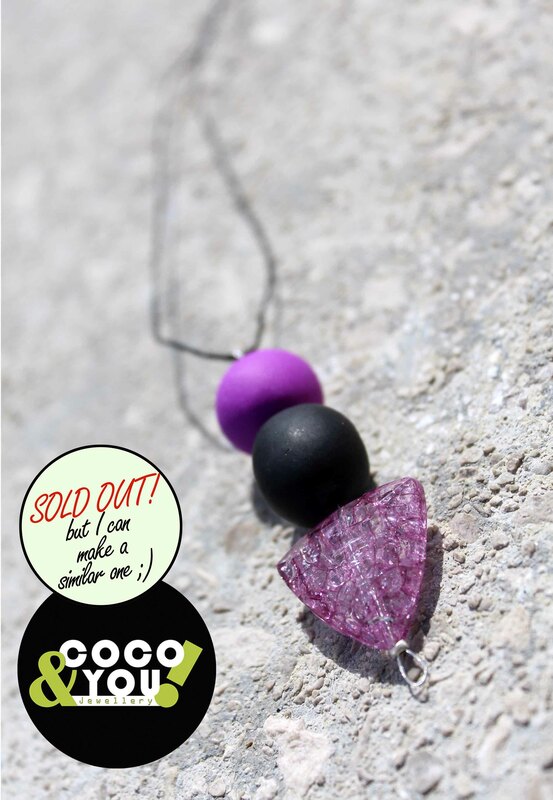 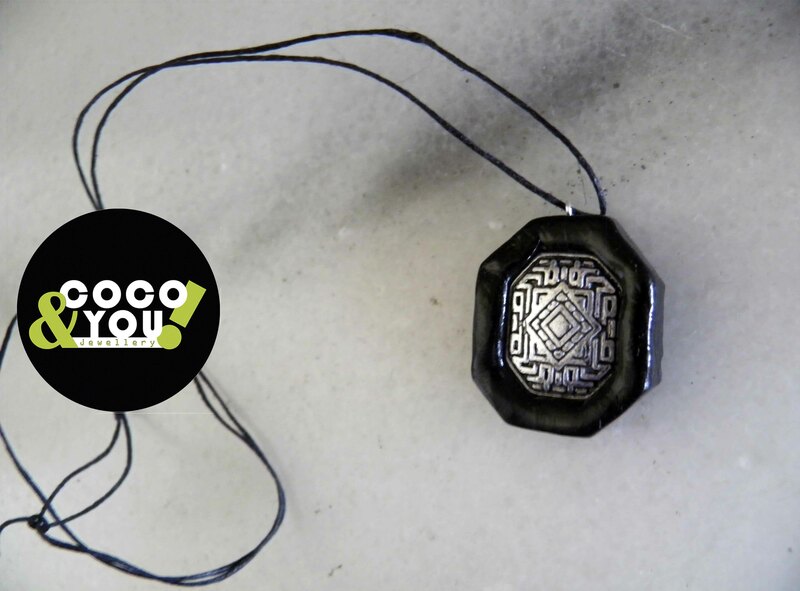 Pink & Black pendant with triangular bead on black cord with sliding knots to adjust the length. 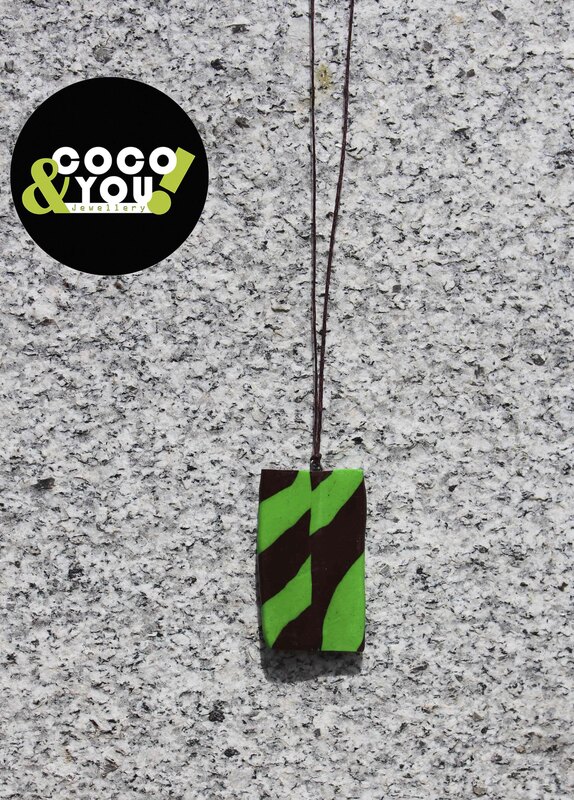 Brown and green pendant on brown cord with sliding knots to adjust the length. 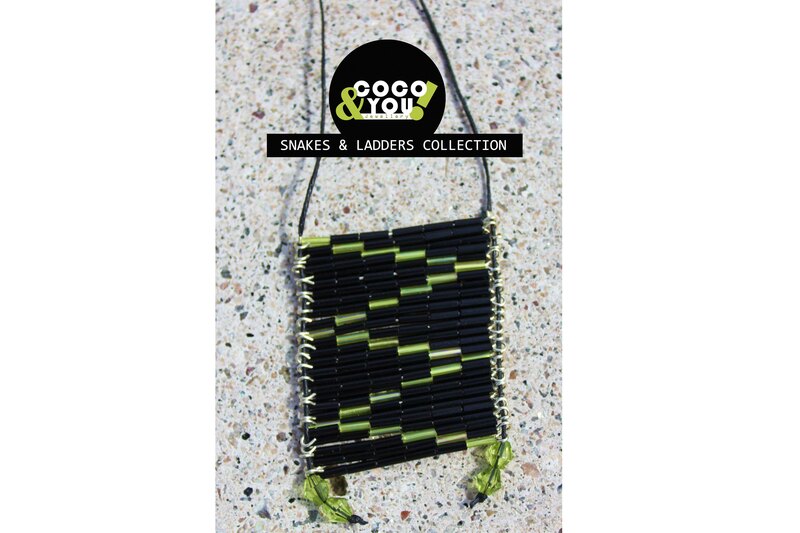 Black & yellow pendant on black cord with sliding knots to adjust the length. 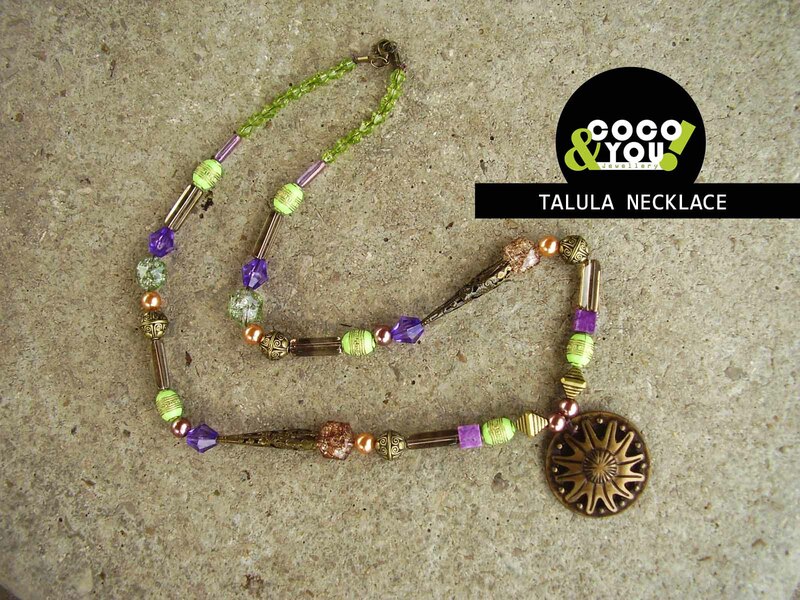 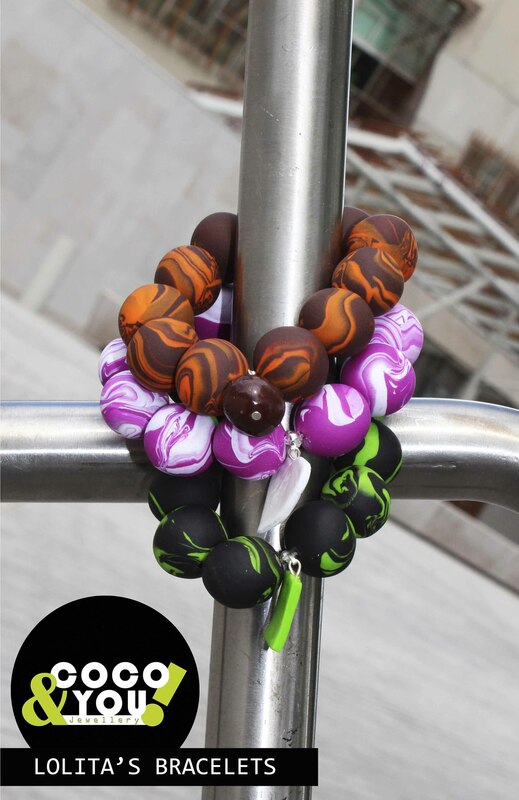 Multicolored ball necklace on black cord.